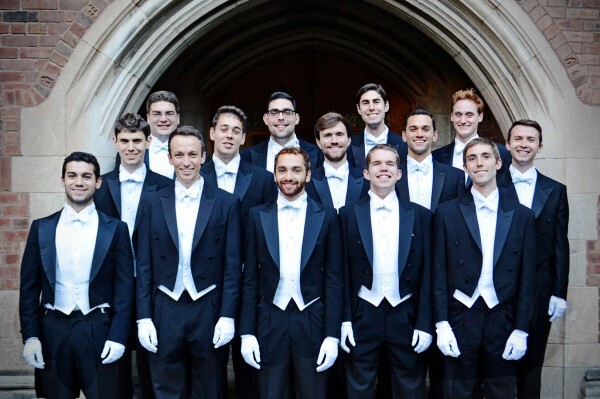 The Whiffenpoofs of Yale University, the country’s oldest collegiate a cappella group, perform at Bates College at 8 p.m. Saturday, May 3, in the Gomes Chapel, 275 College St. The singers include Nimal Eames-Scott, a 2010 graduate of Lewiston High School and the son of Bates anthropology professor Elizabeth Eames. Tickets cost $20 for the general public and $10 for students, available at www.whiffenpoofs.com/tickets. For more information, please call 570-294-7957. The Whiffenpoofs began in 1909 as a senior quartet that met for weekly concerts at a campus tavern. The group made its mark on mainstream culture early on with their signature “Whiffenpoof Song,” an amusing adaptation of a Rudyard Kipling poem by Yale students Meade Minnigerode and George S. Pomeroy. Published as sheet music the year of the quartet’s founding, “The Whiffenpoof Song” became a hit for Rudy Vallee in 1927 and in 1947 for Bing Crosby. Numerous other artists have recorded it, including Elvis Presley, Count Basie and the Statler Brothers, and it has turned up in movies including 12 O’Clock High with Gregory Peck. For more than a century, the Yale vocal group has ended every concert with the song as a celebration of their brotherhood and tradition. Today, the group is composed of 14 senior Yale men who are selected annually. The singers take the year off from school and devote the time to singing and traveling with the group. Today the “Whiffs” continue their tradition with more than 200 performances each year in such venues as Carnegie Hall, Lincoln Center and the White House. Their Whiffenpoofs’ repertoire covers a wide diversity, from original compositions to hits from every decade since their beginning. The group often pays tribute to Whiffenpoof alumnus Cole Porter, and contemporary pop also finds its way into the group’s programs. The Whiffenpoofs have been featured on various television programs including “Saturday Night Live,” “The Sing Off,” “Today,” “60 Minutes,” “Jeopardy!” and most recently on the fourth-season finale of the TV hit “Glee.” Straight from a spring tour in South America, the Whiffs are back on the East Coast before embarking on a world tour.